SummerTide Theatre is the University of Alabama's professional summer theater. 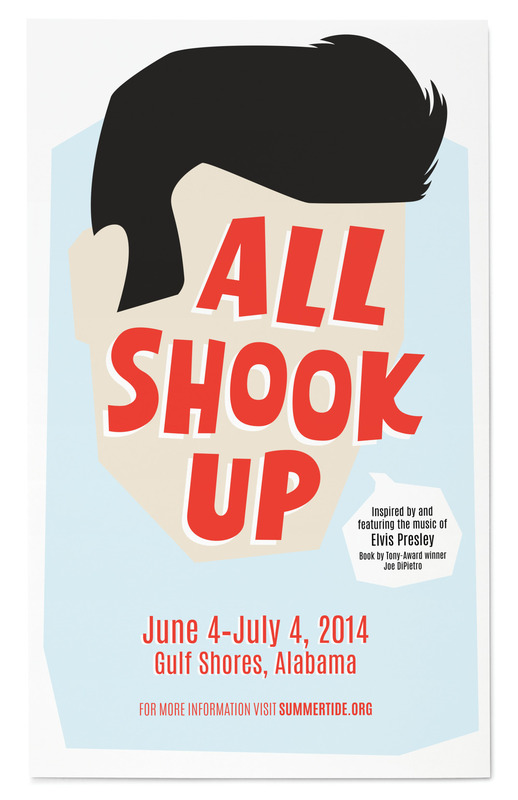 2014's production was All Shook Up, which features the music of Elvis Presley. This identity includes custom lettering and a color scheme reminiscent of the setting of the musical: 50's beach culture.